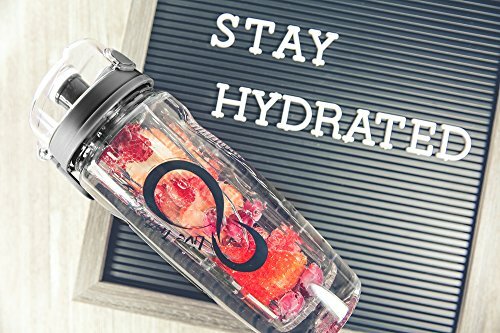 ✦ New Features! 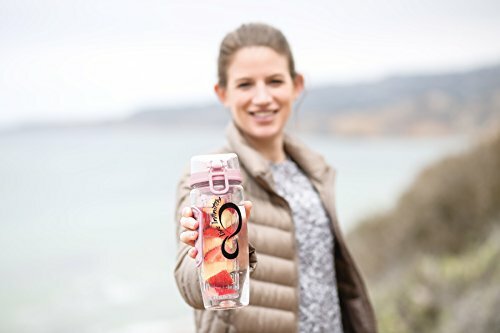 – We have updated our newest water bottles to include everything you wanted. 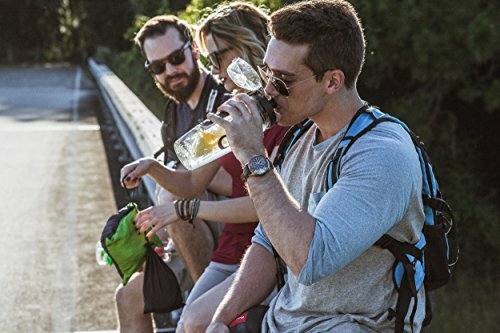 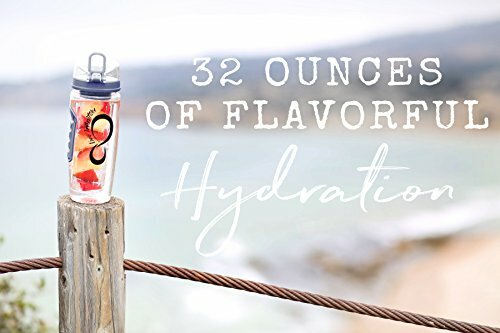 We increased the size to 32 ounces, included a convenient thumb releasing flip top lid, added dual no-slip grips and increased the infuser to be the largest on the market! 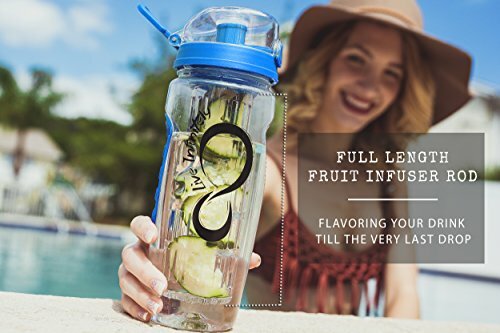 ✦ Industry first FULL-LENGTH infuser rod ensures that your water is infused to the very last drop, providing the best flavor possible! 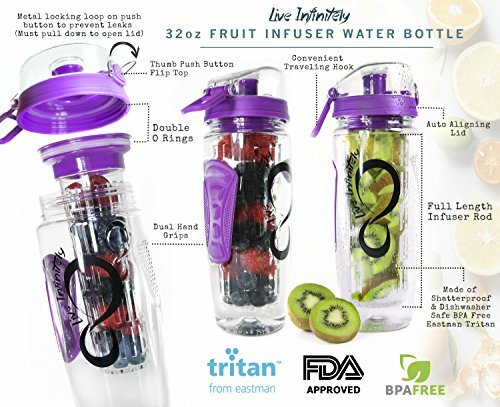 Removable infuser and cap can be placed in your favorite water pitcher to make it a fruit infuser as well. 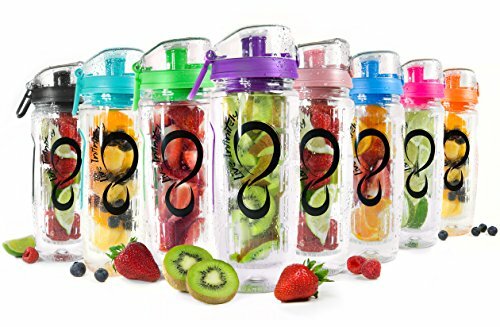 ✦ One bottle that can be used as much more than just a water infuser. Manufactured from top quality TRITAN to produce a quality water bottle that is FDA approved, BPA free and leak proof. 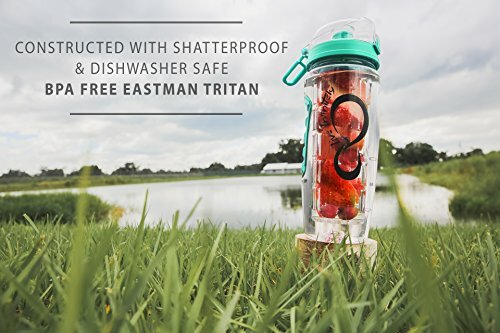 Use it to make tea, mixed drinks or remove the infuser rod to have a 32oz. 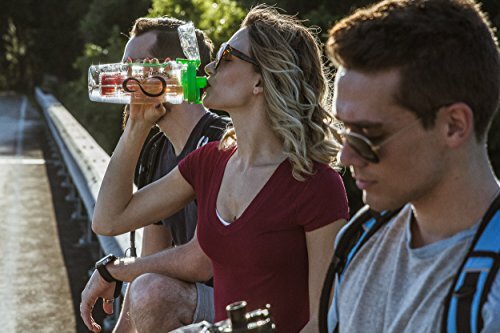 sports water bottle.